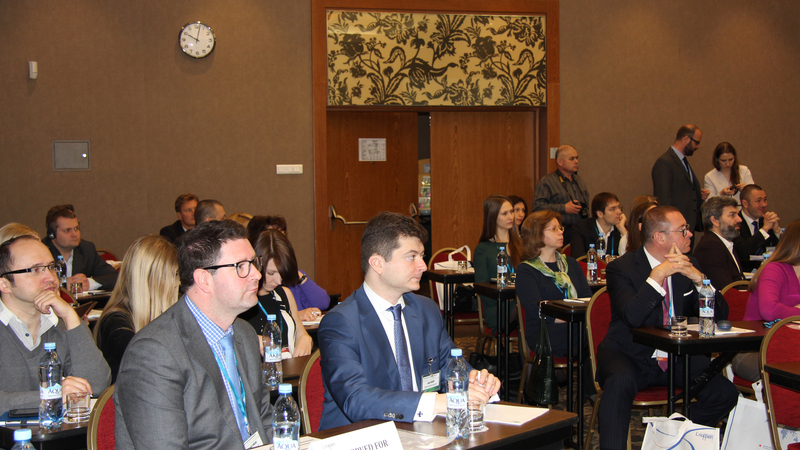 Today`s Russia remains a country of primarily business tourism. International and local hotel chains continuously plan and announce their new projects to increase the existing capacity while Russia prepares for the FIFA World Cup 2018. The 11 host cities are currently under immense pressure as they struggle to accommodate the thousands of football supporters that will soon be arriving. Currently the 108 hotel projects in the pipeline are exploring green solutions to lower energy costs, water and waste consumption. These factors are becoming increasingly important for hotels to ensure the sustainable development that their guests and cities require and the greater return on investment through the implementation of green solutions that their investors demand. 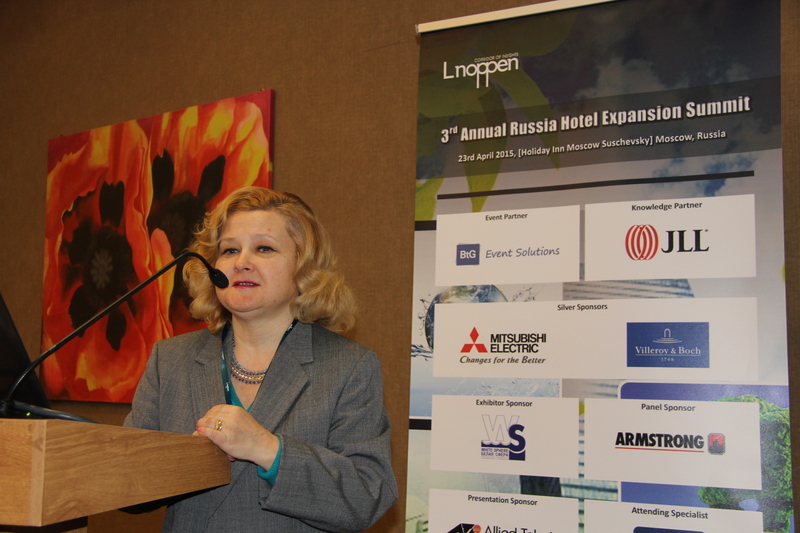 Lnoppen`s 3rd Annual Russia Hotel Expansion Summit featured over 20 prominent industry leaders, providing informative and inspiring discussions pertaining to the current needs and the future development of the industry in the region. Global and local leading operators, developers, investors, construction companies, architects, financial institutes, associations, consultants and solution providers were invited to discuss the upcoming and the existing projects, investment possibilities, innovative sustainable development methods, trends and technology updates. The delegates shed light on the hospitality industry’s development, capabilities and future perspectives: latest updates on expansion projects, current opportunities and pitfalls, financing in nowadays dynamic environment and green hospitality were among the many topics addressed during the event. 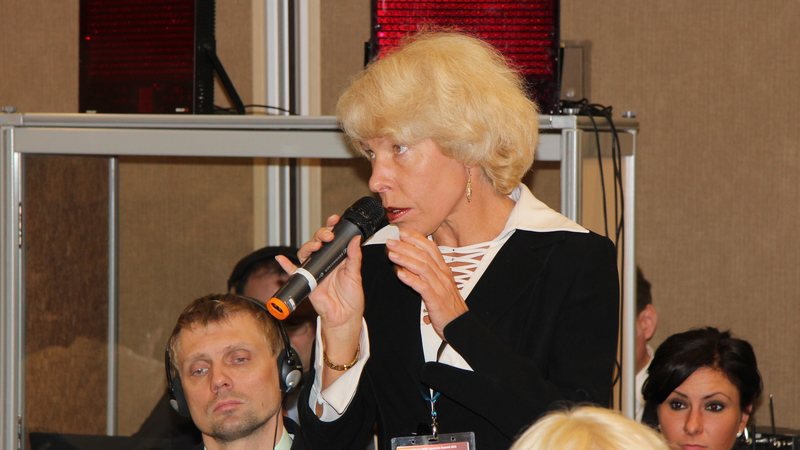 While there were a number of outstanding speakers at the event, the Chairperson of the summit, Ms. Lucy Mityaeva, CEO of CHC International stood out by demonstrating that an event with such a crowded agenda can be ran smoothly. The 2015 conference was opened by Mr. Tom Mundy, National Director, Head of Research, at JLL, Russia & CIS, Knowledge Partner of the Event, whom provided an excellent analysis of the current economic investment environment. His most updated data was used by the next keynote speaker Mr. Sergey Shpilko, First Deputy Of The Head Of Moscow Department Of National Policy, Inter-regional Communications & Tourism at Moscow City Government, delivered the official welcome speech and provided insight on the efforts of the Moscow Government to support the industry. 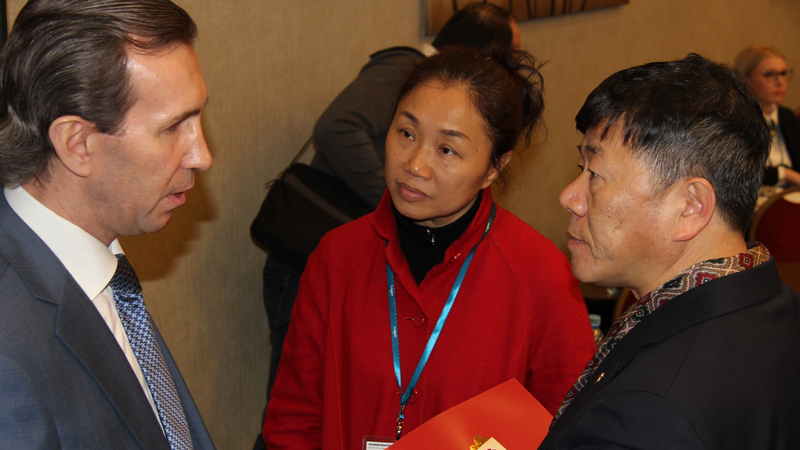 Following his updates on the recent developments, he invited the stakeholders to communicate further in the upcoming forums to resolve current obstacles in order to enable further investment opportunities and healthier development of the industry. 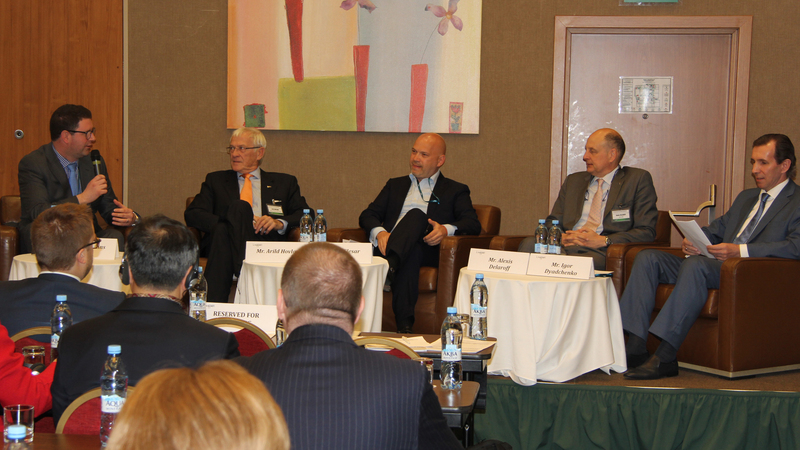 His speech was followed by a panel lead by Mr. David Jenkins, EVP, Head of Hotels & Hospitality Group at JLL, Russia & CIS. His guests Mr. Arild Hovland, Senior Vice President Business Development Russia & CIS at Carlson Rezidor Hotel Group, Mr. Alexis Delaroff, Chief Operating Officer, Hotel Services Russia, Georgia, Ukraine and the CIS at Accor, Mr. Alexey Slesar, Adviser to the Chairman of the Board of Directors at Gleden Invest and Mr. Igor Dyadchenko, Development Director, Russia & CIS at Hilton Worldwide discussed the hot issues in depth and shared insight on the possibilities of further investment in the dynamic period. Latest updates on the current estate standings, localization, GOP, and ADR were discussed in detail. 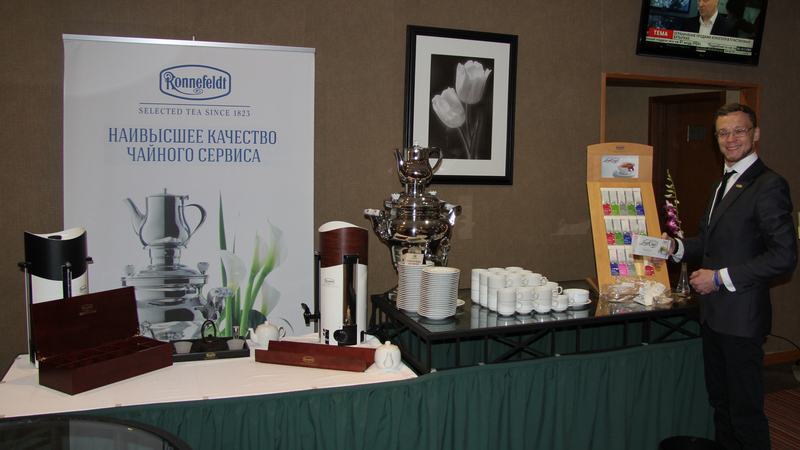 Electric (Russia) LLC demonstrated the latest HVAC solutions that are ultimately enhancing guest’s experience and comfort while benefitting the owner financially. A lively discussion on Management Contracts and Franchising was then held under the chair of Ms. Olga Fazullina, Manager, Hospitality & Leisure, Corporate Finance at KPMG with Mr. Michael Johnston, Chief Executive Officer at Regional Hotel Chain (RHC) representing the views of investors, Mr. Alexey Korobkin, Associate Director, Development, Russia, CIS, Baltics & Scandinavia at IHG and Mr. Bastien Blanc, VP Sales, Marketing & Business Development – Russia & CIS at Interstate Europe Hotels & Resorts representing operators and developers, Mr. Alexander Skoblo, Partner, Head of European & CIS Hotels and Leisure Practice at Dentons representing the legislative side of the deals. A significant amount of the discussion was around the first time owners, brand contribution and the realities of the relationships that are expected to last decades. The sincere panelists provided frank answers that gave birth to a fruitful debate. Following the lunch break Mr. Stanislav Ivashkevich, Associate Director, Hospitality Development, Strategic Consulting Department at CBRE gave a presentation on opening chain hotels in Russian; followed by Mr. Anton Kuzmin, Marketing Manager Villeroy & Boch, Gustavsberg, Russia & CIS at Villeroy & Boch presenting traditions and innovations of his company, which has been in the region over a century and is famous because of the quality and durability of its product line. A third discussion panel chaired by Ms. Angelika Normann, Head of Hospitality & Leisure Advisory Services, Russia & CIS at EY focused on the development of midscale hotels and economy brands to boost revenues where prominent speakers Mr. Ivan Kiseev, Development Director for Russia & CIS at Marriott International, Inc. and Mr. Alexis Delaroff, Chief Operating Officer, Hotel Services Russia, Georgia, Ukraine and the CIS at Accor shared insight on the possibilities and current situation. The panel was followed by the presentation of Mr. Lev Gankin, Sales Account Manager at Allied Telesis demonstrating their solutions for hospitality market in Russia. Green Hospitality session kicked of right after the last tea break of the day with the presentation of Mr. Sergey Egorov, Director of Development, Russia & CIS at Wyndham Hotel Group on the Green initiatives. Mr. Egorov highlighted the success of Wyndam in developing an award winning program contributing not only to the environment but the sustainable development of the industry. 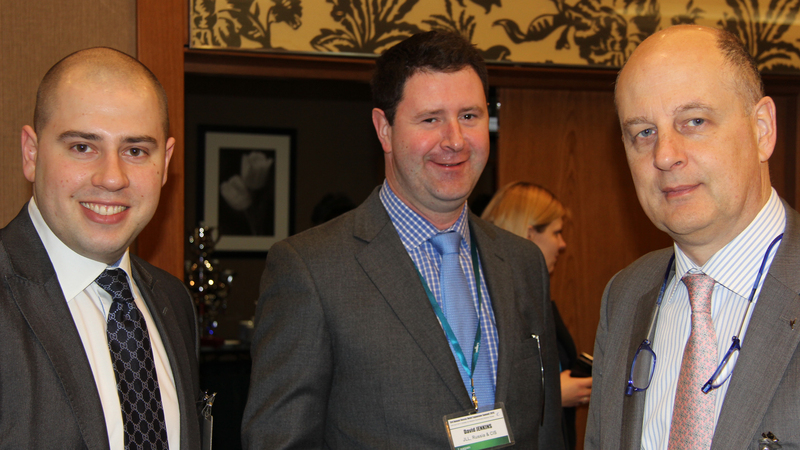 The momentum kept growing with the following speaker Mr. Sylvain Galmot-Kerr, European Sales at Armstrong Fluid Technology(panel sponsor), presented innovative modular solutions for the industry. Last discussion panel was chaired by Mr. Alexey Polyakov, Co-founder & Chair of Executive Board at Russian Green Building Council, and Ms. Ksenia Agapova, Head of Sustainability Services, Russia & CIS at JLL, Russia & CIS and Ms. Eleonora Ivanova, Head of Ecounion in Moscow at NP “Ecological Union” both provided presentations to reveal true value of green hotels and how the environmental performance of the estates can be improved. They elegantly presented the current situation, the needs and expectations of the various stakeholders including their suggestions for the greener Russia. Both presentations followed by a debate which echoed even after the event when the participants kept brainstorming during the welcome cocktail organized by Lnoppen. Lnoppen thanks all our supporters, eminent speakers, participants and sponsors: Mitsubishi Electric, Villeroy & Boch, White Sphere, Allied Telesis, Armstrong Fluid Technology Ametist and JLL for their contributions to the event.